If your account is using the Zoom platform, you have the ability to disable participants' cameras when a meeting starts. (Participants can still enable their cameras after if they choose.) By default, this setting is not enabled. This support article goes over how to manage that setting, and assumes you have the Account Administrator role. 2. 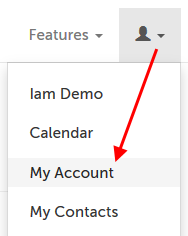 Underneath "Account Settings", click "View". 3. 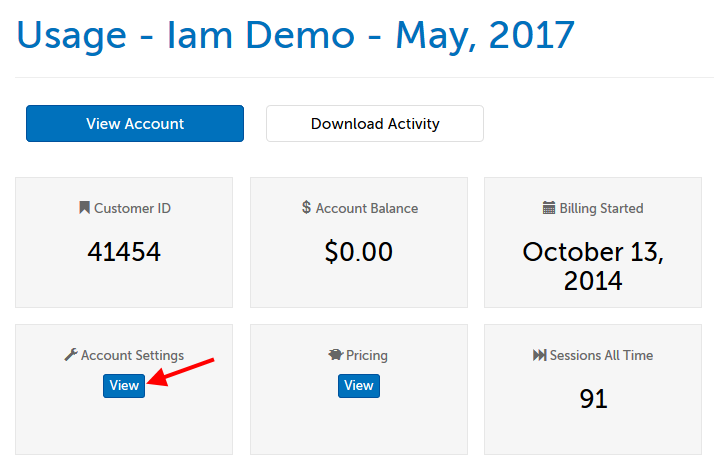 Scroll down to the bottom of the page, to the field named "Disable Participant Video at Session Start (Zoom accounts only)". If you make a new selection, click "Save" afterward to save the change. The setting will take effect for all new meetings created in the organization account. No means that the participant's camera will start when the session starts (default). Yes means that the participant's camera will NOT start when the session starts, and they will have to manually enable their camera in order for you to see them. This article was last reviewed by our Support team on April 13, 2018.